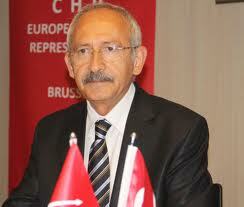 The main opposition Republican People’s Party (CHP) and its ally İYİ (Good) Party have called on Turkey’s Supreme Election Board (YSK) to not bow to government pressure and urged the body finalize the results of the local elections held 10 days ago. Gallery | This entry was posted in chp, HDN and tagged Hurriyet Daily News, IFTTT. Bookmark the permalink.